Welcome to the third and final spotlight on the conference team, ‘Team Diamond’. We have more of our hard-working team – this time with the amazing Zoe Younger, and Roseanne Smiles. I thought it would be fun if we also got a glimpse into our Events Coordinator on the Executive, Nikki Logan. Oh, and I’m there too as my alter-ego, Helen Katsinis. 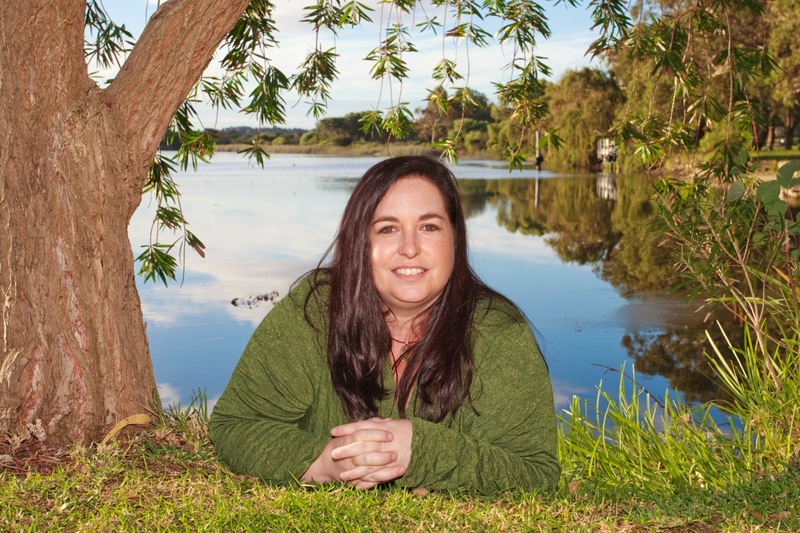 Zoe Younger has been writing seriously for about seven years and her current story is Irish/Australian Colonial. You can read two of her short stories in Little Gems Amethyst and Pearl. She also has three of her poems in the “North Pine Bush Poets Anthology” she produced as a fundraiser. What role(s) are you doing for the DAF conference? What are you most looking forward to at the DAF conference- as an organiser? – as yourself? As an organiser, meeting the visitors I’ve been speaking with via e-mail. As myself, the end of the final pitch session on Saturday afternoon when the delegates have their requests and I can relax a little and concentrate on enjoying remaining ‘diamonds’ of the conference. Can you give us a hint of your costume for the Diamonds Are A Girl’s Best Friend Cocktail party? I wish I could but I’m still open to suggestions. What’s the most memorable conference moment for you? Last year, I joined an author talk and she remembered me from my first conference back on the Gold Coast in 2006. It made me realise how much I’ve learned, how far I’ve come and how much I owe RWA. What advice can you give first timers? Find the way you learn best then use that at conference. After trying various methods I take copious notes, either with pen and paper or using my Alphasmart Neo. By the end of conference when my brain is in overload it’s comforting to know that I have lot of diamonds waiting for me to mine them all over again. Why did you name your computer Daisy? After recent surgery I mentioned to someone how, through the wonders of facial recognition, my lovely new computer still recognised me. She suggested that might make me fond enough of it to give the computer a name. Well, it took a while but I finally found fitting name. Why Daisy? Because not only did she recognize me with ice packs and bruises etc, not only did she survive a computer vandal/hacker, I fell in love with her all over again when she started taking dictation beautifully via voice recognition. Daisy, as those who watched “As Time Goes By” may remember, was the beautiful and efficient secretary which Lionel (a writer) hired but lost when Jean (Judy Dench) went crazy with jealousy. I couldn’t find a picture of Daisy but just learned the name of the actress who played her – Zoe Hilson. What are the odds of us sharing a Christian name too? I call it poetic justice. It was meant to be. 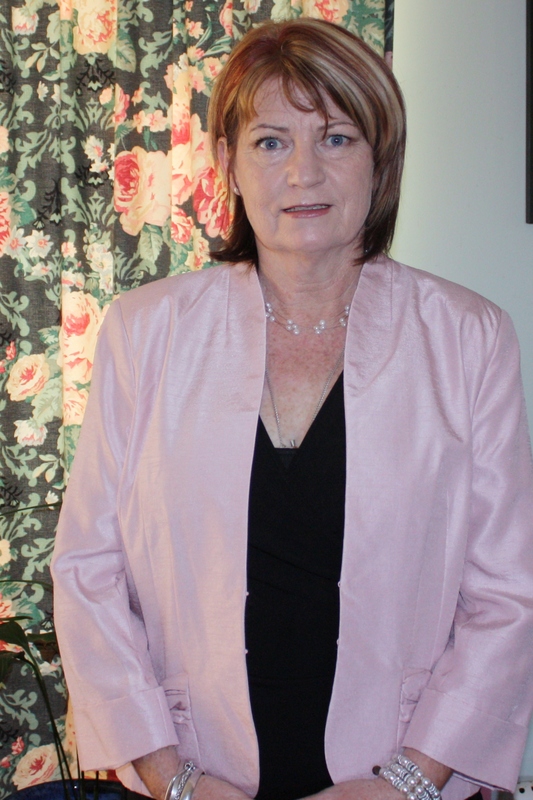 Roseanne Smiles has been writing romantic suspense stories for a number of years now. She is a member of the Bootcampers 101, and when not writing, she is a medical receptionist. Determined. Focussed. Loving. Talented. Fun, Friend. Determined. Loyal. Writer. Helpful. Covers contest. Morning walks. Palazzo tour. General helper. What I’m most looking forward to is catching up with other writers I haven’t seen in a while as well as my bootcamp buddies and actually meeting the other members of the conference team face to face. Tiara, long gloves, slinky frock. I enjoy the awards dinner, seeing all those hard working writers, who have finalled in competitions being acknowledged. And realising that, it could be me. Be brave, step forward, say hi. We don’t bite. Absorb it all. Use what you learn. Nikki Logan lives on the edge of a string of wetlands south of Perth with her partner and a menagerie of animals. She writes captivating, nature-based stories full of romance in descriptive natural environments for Harlequin’s Romance/Sweet imprint. She believes the danger and richness of wild places perfectly mirror the passion and risk of falling in love. Nikki has a BA (Dbl Major – Theatre Arts; Film & Television) and has worked in the advertising, film distribution, theatre and wildlife conservation industries. She’s an accomplished vocalist and public speaker and she’s ecstatic to add ‘multi-published author’ to her list of achievements. 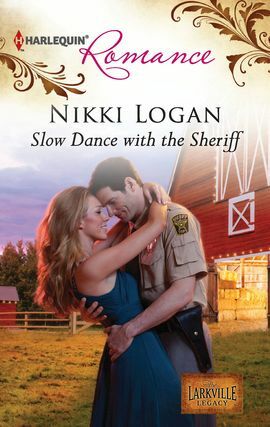 Slow Dance with the Sheriff is an August release but is available now in e-book form at Harlequin. I am presently the events coordinator for RWA which means I have anything from a guidance role to hands-on role with all of RWAs events. I act as intermediary between the DAF team doing all the hard yards and the RWA committee who sign off on different aspects of every RWA event. I love everything about conference. So as myself, I look forward to seeing writerly friends face-to-face, as an RWA rep I look forward to working with Google some more. Anne Gracie’s ‘stand up’ speech. Always makes me smile. Just jump in. There’s enough people milling around that you’ll be invisible when you want to be and part of the crowd when you don’t. Helen Katsinis (of HelzKat Designs) designs book covers and banners for writers. She is currently studying graphic design at TAFE. 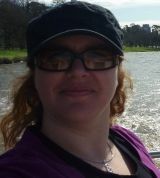 As both herself and her alter ego, Eleni Konstantine (Fantasy and Paranormal fiction writer), she has set up a number of blogs/websites and has given talks on the subject of blogging and navigating in the online world. 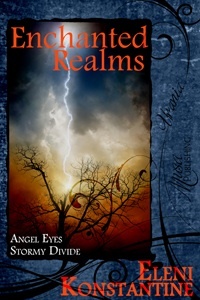 Eleni’s current release is a short story duology, Enchanted Realms, from Musa Publishing. Designer, writer, student, volunteer, carer, who needs a time stopper. Internal communications/Announcements (web, blog, Hearts Talk) ; Event coordinator for Cocktail Party and Awards Dinner; Merchandise co-ordinator, General tech help. I’m also doing sessions called The Writer’s Online Shuffle – navigating your online presence; and as Eleni will be moderating the Paranormal panel. As an organiser, I want to look back on Sunday and think ‘wow, what a conference’. As myself, I’m looking forward to catching up with old friends and making new ones. It’s always great seeing people in person to get those hugs. As a conference supporter, I hope The Writer’s Online Shuffle helps all the participants. There have been many conference moments, but I have to say my first conference (2002) after the disheartening AGM where it looked like RWA will fold and I thought ‘no, not that I’ve just started getting more involved). And then a few hours later coming home to find a cyber committee had volunteered headed by Alison Brideson. It showed me the RWAus spirit and I was proud to be a member. Don’t stress. Take deep breaths. Introduce yourself. And really have fun and soak everything up. You’ll have a blast. If you feel a little overwhelmed, take in some fresh air, or go browse the bookstore. You don’t have to be on the go the whole time. It’s your conference, so enjoy!! Look out for the next conference spotlight on the 17th July. More of the mad mob! Good on ya girls. You’re all legends!! Thanks for your hard work and I’m looking forward to seeing you in August. Thanks Louise, can’t wait to catch up. You’ve done a lot of work all of you. It is much appreciated by all I’m sure. Looking forward to this event like you wouldn’t believe!